When I first started my blog none of my friends or family knew about it but now that they do, its so fun writing little posts for them. 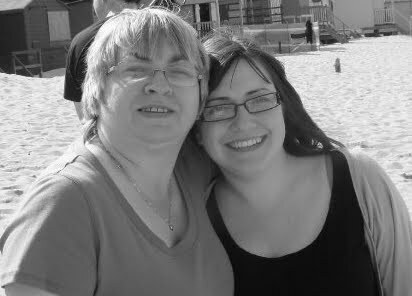 Today is my Mum's birthday and unfortunately I can't be at home for her today but I will be there on Friday, yeay!! And I owe her the biggest hug! I hope you have a wonderful lunch with Dad, I can't wait to see you soon. Thank you for not just being the best Mum but one of my best friends too. p.s. sorry its not the best picture of us - we need to take more at the weekend!